So, as another legislative session in Dover comes to a close, we are once again afforded a front row seat to how not to govern. So far we have been give legislation to decriminalize the possession of marijuana, to give driving privilege cards to illegal immigrants, to allow parents to opt-out of testing their children, (which will be vetoed), and any number of bills that deal with, what most would consider social issues. Why is it that the Democrats, you know the party in charge here in Delaware, keep driving social issues, even as Republicans continually get blamed for keeping social issues at the forefront of the political discussion? And why are we seeing all of this smoke and mirrors about social issues, when the state is facing a multi-million dollar deficit? Well? Because the state is facing a multi-million dollar deficit, that’s why. But time is running out, soon we will witness the long-held tradition in Delaware, of the last night of the legislative session, where the magic money usually materializes. But since we are talking about close to $40,000,000.00, (That is a lot of zeros, huh? ), they may find it hard to do without real cuts. Not much chance of that considering the Democrats have shown no inclination to do so, and Republicans just don’t have the numbers. We need to stop looking strictly at how to raise revenue, and accept the fact that we must cut spending. And you know what? She is exactly right. When did the process get turned upside down? Why is it that in what is supposed to be a representative republic, we now allow the bureaucrats to put together their Christmas list, and call it a budget, and then the people we elect run around, like chickens with their heads cut off, trying to find enough money to pay for it? 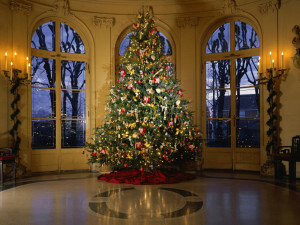 Well it is time for us to get back to the way it should be, and that means no Christmas for the bureaucrats. Instead of the people hired to take care of the day-to-day running of the government, to make sure the trains run on time one might say, deciding how much to spend, it is time for the legislators to take back control. After all, they do hold the purse strings. Here is a crazy idea, if the legislature really wants the agencies to spend 5% less, then pass a budget with 5% less in it for every agency. This will force the secretaries to do their job within the budget set forth by the people’s representatives. They will be forced to prioritize their spending, instead of putting together their yearly wish list. Of course the instant cry will be they can only do this by laying off employees. First let me say that a few less government employees might not be the worse thing to happen, but I’ll bet, that if forced to operate within a given budget, rather than setting their own spending limits, these government wonks could find those spending cuts, or find another job. This is not rocket science. The Delaware Legislators have, for far too long abdicated their legislative responsibilities. They allow agencies like DNREC to pass regulations that carry the weight of law, and they allow these same agencies to set the spending for the state. Both of which, are jobs they were elected to do. But hey, wouldn’t want them, to have, to make the hard decisions, wouldn’t want them to look like the bad guys. Wouldn’t want them to actually be leaders. 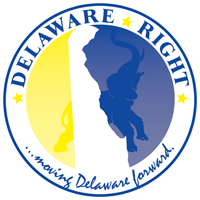 I am a Republican, and I understand that in Delaware right now there is little chance of the Democrat controlled Legislature actually doing this, and the Republicans can’t, even if they would, and that is up for debate. So at some point we as Delawareans must send the message that we want our elected officials to do their job, by making the bureaucrats do theirs. The Democrats have had control of this state for quite sometime, and it has led us to a $40 million deficit. (And please don’t anyone come here and tell me Delaware has a constitutionally mandated balance budget, because that is as big a lie as Santa Clause.) It is time to give the other side the ball, and if they drop it, then we elect new leaders, until we actually get leaders. 9 Comments on "Christmas For Bureaucrats"
With Socialist-Democrats in charge? Are you kidding? Don’t worry, they’ve still got a sales tax in their hip pocket. Sales tax? Not likely. Look for a statewide property tax. If you really wanted cuts to state spending, you would have mentioned some things for the state to cut spending on..
See Delacrat, you are playing the bureaucrat’s game. But if you could put aside your built in bias against all spending cuts, and read what I wrote, I did tell you what I would cut. ALL state spending by 5%. No where in your post did you say that you want to cut ALL state spending by 5%. Come on man, if we are going to do this, at least make it challenging. Frank, if you really want what you say you want, you wouldn’t describe what you want as “a crazy idea”. Delacrat, if you weren’t so caught up in opposition, you wouldn’t be reaching so far to find a reason to oppose. Thank you Jack for turning Delaware into Greece.